The San Diego Comic-Con has to be one of the most talked about pop culture event in the world. Each year, die-hard fans of comics, anime, movies and TV series convene at the mega event to soak up the bustling atmosphere with merchandise booths, panel conventions, autograph events and celebrity appearances! Even though Marvel didn’t attend this year, the slate of movie trailers are rather focused on superheroes and magic, thanks to Warner Bros’ exciting line-up. Fans who attended the panel were treated to an exclusive footage from Gal Gadot’s Wonder Woman sequel - Wonder Woman 1984, which is not released to the public yet. But here are some other amazing and highly-anticipated movie trailers from upcoming blockbusters to drool over. Perhaps one of the most celebrated trailers from Comic-Con is Aquaman, the action-packed blockbuster starring Jason Momoa as the king of Atlantis. After making his big-screen debut in Justice League, the DC superhero is ready to challenge his brother and save mankind in this aquatic adventure epic. Directed by James Wan, the film also stars Amber Heard, Nicole Kidman, Patrick Wilson and Willem Dafoe. Aquaman opens InCinemas 20 December 2018! 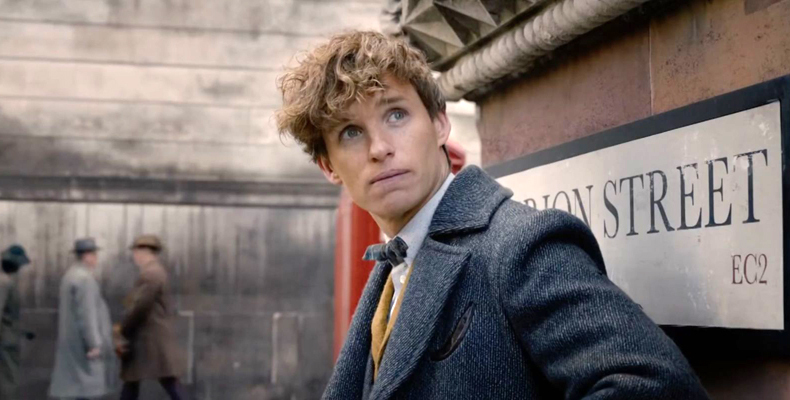 Newt Scamander (Eddie Redmayne) is back in the Fantastic Beasts sequel that explores a larger expansion of the wizarding world, especially the relationship between Albus Dumbledore (Jude Law) and Gellert Grindelwald (Johnny Depp). In this trailer, fans are offered the first look at Nicholas Flamel while Newt is on a mission to stop Grindelwald from causing world destruction. Katherine Waterston, Ezra Miller, Alison Sudol, Dan Fogeler, Zoe Kravitz returns to the sequel, with newcomers Ingvar Sidgurdsson, William Madylam and Claudia Kim joining the wizarding blockbuster. Fantastic Beasts: The Crimes of Grindelwald opens InCinemas 15 November 2018. Boomz! I mean, Shazam! This charming teaser presents a very different tone from its existing DCEU films, one that is much more charming and lighthearted for both children and adults to enjoy. It’s playfulness may just be what the DCEU is looking for. The film stars Zachary Levi, Jack Dylan Grazer, and is directed by David F. Sandberg. Shazam! opens InCinemas 4 April 2019! M. Night Shyamalan’s long-awaited follow-up to thrillers 2000’s Unbreakable and 2016’s Split brings together Bruce Willis, Samuel L. Jackson and James McAvoy in the upcoming psychotic thriller ‘Glass’. In this sequel, Dr. Ellie (Sarah Paulson) is a psychiatrist who specialises in treating delusional patients who believe they are the special mortals who possess superpowers. If you loved Shyamalan works, then this dark take on the superhero trilogy is not to be missed. Glass is slated to open InCinemas January 2019. Unleash the beast - Godzilla is back on the big screen, and he has brought his friends along, ready to destroy earth as we know it. Stranger Things breakout star Millie Bobby Brown gets her silver screen heroine debut, who has to fight alongside her human allies Vera Farming and Sally Hawkins, Kyle Chandler, Charles Dance and Bradley Whitford, Ken Watanabe and Zhang Ziyi. Other monsters unleashed in this trailer are Insect Mothra, three-headed King Ghidorah and a flying monster named Rodan. Godzilla: King of Monsters rawing into cinemas 30 May 2019! These are definitely on our 'to-watch' list. What about yours? Let us know in the comments below! 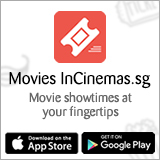 The Spy Who Dumped Me - 5 Pairs of Premiere Screening Tickets to be won!